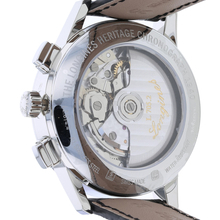 Designed to celebrate over 185 years of brand heritage, the Longines Heritage collection champions expert Swiss craftsmanship, sophisticated aesthetics and of course, the brand’s devotion to sport. 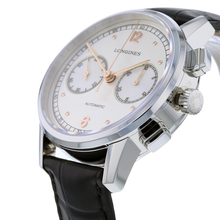 Suitable for all occasions, this performance focused Longines Heritage Men’s Watch has been expertly crafted to stand the test of time as you navigate your way through life. 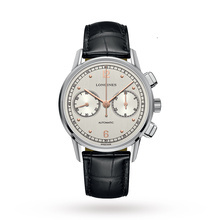 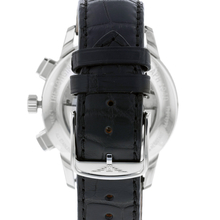 Boasting chronograph sub-dials, elegant rose gold detailing, a stylish silver-toned dial and a secure black Alligator strap that has been designed to optimise comfort, this timepiece is powered by a Swiss automatic movement and showcased in a polished, 41mm stainless steel case with scratch-resistant sapphire crystal glass.